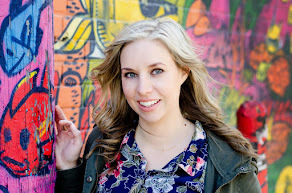 Simply Shaunacey: Work Wear Challenge - registration is open! As much as I love dressing myself (at times) it's also one of those things I don't always have enough time or energy for. Enter Alison and her Style Challenges. My regulars know that I'm a HUGE lover of these Style Challenges. It's super helpful to have someone give you a list of clothes and accessories and then tell you how to put them together in a number of different ways. It's cost and time efficient and as a mom, well I'm all for things that save me time and money. 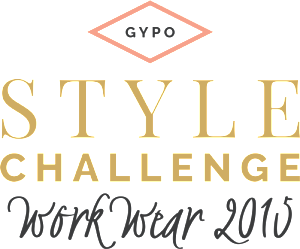 Alison is at it again and registration for her Work Wear Challenge is NOW open!! As the title suggests, this challenge is geared towards a business casual working environment (there will be no jeans Mon-Thurs) and is PERFECT for those struggling to keep some fun in their work wear. Also, as an added bonus, Alison is throwing in the 2014 Work Wear Challenge when you sign up for the 2015 Work Wear Challenge. I'll admit, I'll be sitting this challenge out for now seeing as I'm on maternity leave BUT if you're interested in signing up, I'd love to hear about your experience. Plus, if you sign up HERE through my affiliate link, you'll help me out (by getting $ I'll use towards future challenges - fall challenge is quickly approaching! ).